It's tough to argue that piloting a VideoRay ROV isn't just flat out fun. It's even tougher to argue that watching that 500 pound billfish you just landed getting reeled in isn't the coolest thing ever. From the salon of your sport fishing yacht to the tip of your bass boat, VideoRay is perfect for checking out the action at your favorite fishing holes. VideoRay is also perfect for a night of entertaining on your luxury yacht. Send down the VideoRay to get a glimpse of the reef or the local marine life population - it's guaranteed that you will have a difficult time getting the kids off the controls! The VideoRay is also an ideal tool for safety inspections of your anchor stability, mooring security, and hull and prop condition. For wreck or recreational SCUBA diving, the VideoRay can scout sites down to 305 m (1,000 ft) without wasting valuable bottom time while identifying potential hazards, visibility, and current conditions. 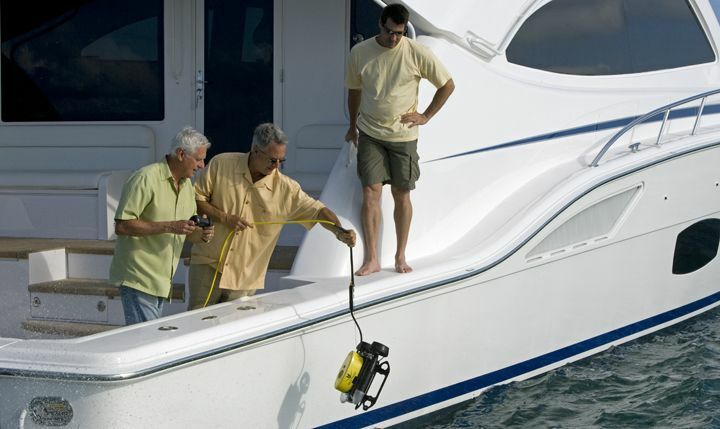 Attach a sonar to the VideoRay for target location, then send the VideoRay in for a closer look or even penetrate tight small or dangerous parts of the wreck - all while leaving the wreck undisturbed. You can also get to the wreck faster by following the high visibility yellow tether to the site. 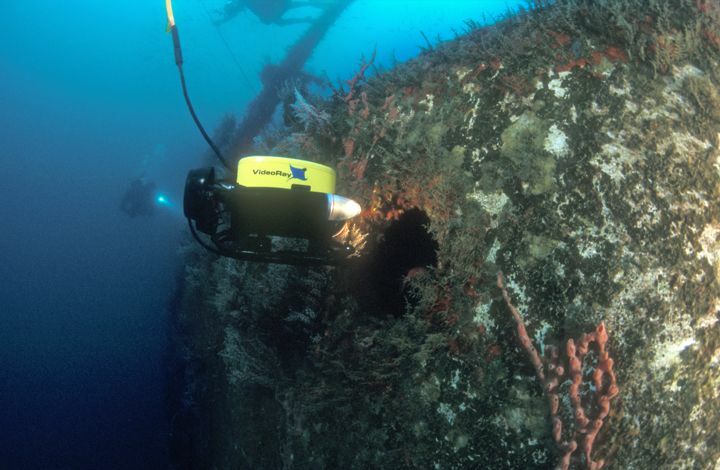 Check out the VideoRay Wreck Survey Channel for several fascinating wrecks filmed by VideoRay ROVs. A VideoRay Scout ROV with some recreational scuba divers - this entry level ROV offers those who wish to stay dry a chance to experience the underwater world without breaking the bank. 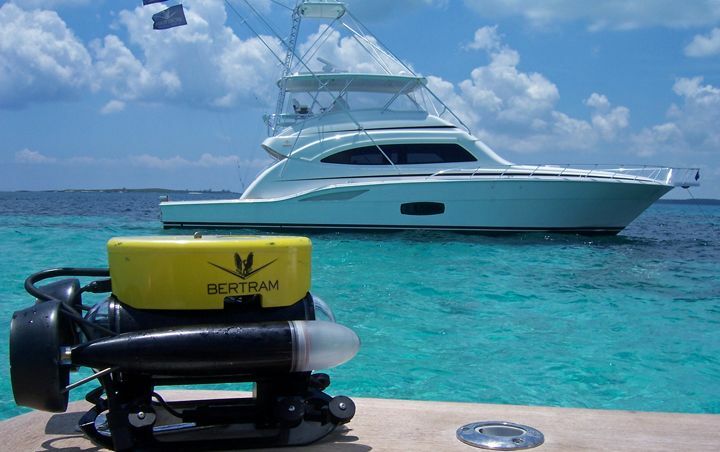 Luxury and sport fishing yacht owners can add another element of entertainment on board when you hook up a VideoRay ROV to your salon big screen for views of sport fish, reefs, or a safety check of your hull and anchor. 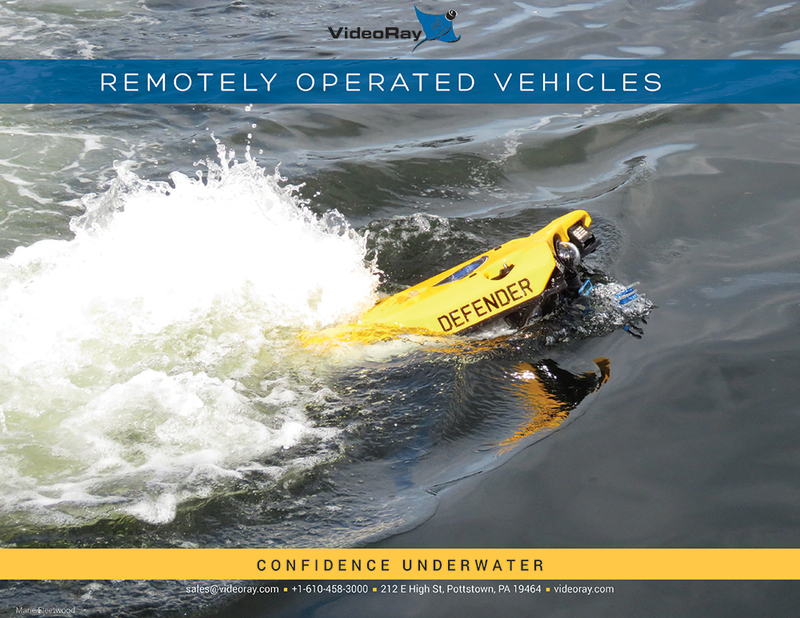 The VideoRay ROV is easy to deploy, retrieve, and pilot from the comfort of your yacht. The VideoRay ROV is the ultimate Dive Buddy. 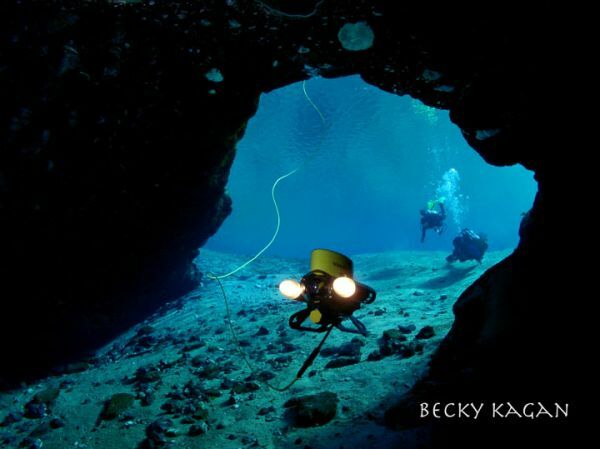 Use it to scout dive site conditions, wrecks, reefs, or just to keep an eye on the bubble blowers below. Scout wreck sites with the VideoRay ROV, penetrate confined and dangerous areas, and use the high visibility yellow tether to get to the dive site quicker. You can even bring up small pieces of treasure with the robotic grabber arm. 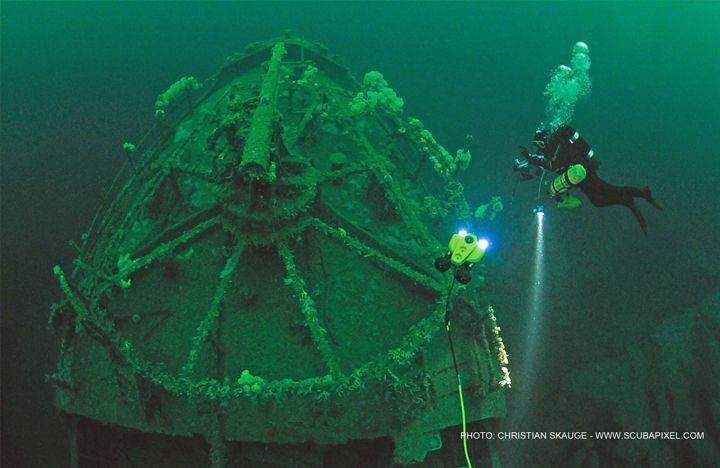 VideoRay Pro 4 ROV on the wreck of the Jan Hubert, a WWII German Mine Sweeper found in 2011 in Southern Norway. The VideoRay was one of the first to lay "eyes" on it. 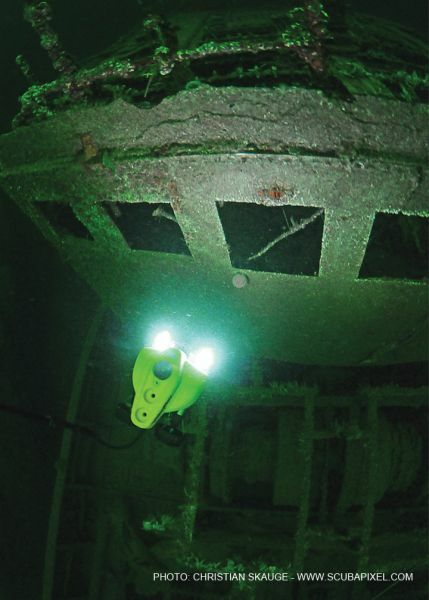 VideoRay Pro 4 ROV on the wreck of the Jan Hubert, a WWII German Mine Sweeper found in 2011 in Southern Norway. 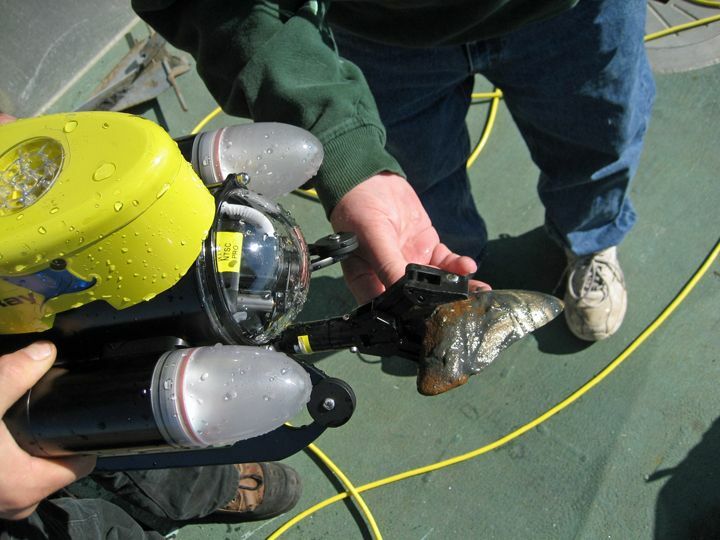 The VideoRay was one of the first to lay "eyes" on it and penetrate the wreck. A millions of years old Megalodon Shark tooth recovered off the coast of North Carolina, USA with a VideoRay ROV with manipulator arm.